We are a leading Manufacturer of hexagonal bellows, rubber bellows, spring loaded rubber bellows, square bellows, bus duct bellows and neoprene rubber bellows from Mumbai, India. We are the major manufacturer of Hexagonal Bellows .This bellows can be manufactured in Round and Rectangular Shape Used In Chemical Industry. 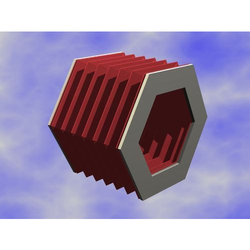 Round/Square, Hexagonal, Octagonal bellows as normally used to cover the piston rod, shafts, ball screws from dust, coolant and metal chips etc. Our organization is among the trusted names in the industry for manufacturing and exporting Rubber Bellows. The offered bellows are made from high-grade materials and are extensively demanded owing to their dimensional accuracy and resistance towards abrasion. The offered bellows are required in electrical and automobile industries for protecting machine parts against operational damages. 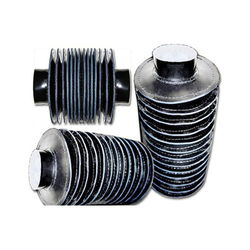 We are among the reputed names in the industry for manufacturing and supplying Spring Loaded Rubber Bellows. The offered bellows are ideal for protecting machine parts from damages during operation and offer hassle-free operations for a long period of time. These bellows are durable, resistant to wear & tear and seamless in terms of finish. Besides being easy to install, these require least maintenance as well. We are among the recognized names in the industry for manufacturing and exporting Square Bellows. The offered bellows are appreciated for their high tensile strength and resistance towards impacts. These bellows are ideal for providing protection to machine parts against abrasion and high temperature. These bellows are durable and seamless in terms of finish as well. We are the Major Manufacturer of Bus Duct Bellows to our clients. 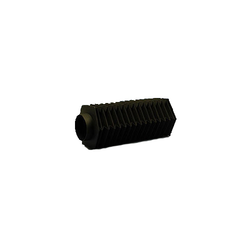 Being one of the pre-eminent names of the market, we are involved in proffering an unlimited compilation of Neoprene Rubber Bellows. 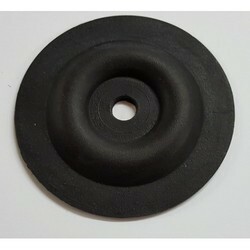 Supreme quality neoprene rubber, obtained from our reliable and dependable vendors, is used for making these bellows. Our precious patrons can obtain these at market leading rates. 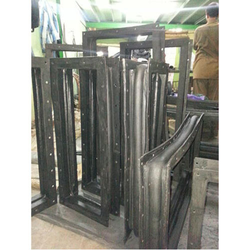 We are among the acclaimed names in the industry for manufacturing and exporting Rectangular Rubber Bellow. The offered bellows find wide usage in electrical, pharmaceutical and paper industries for increasing the operational life of machines by protecting them from abrasion. 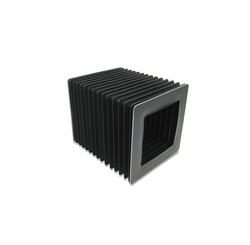 These bellows are resistant to thermal expansion, high pressure and heavy impacts. We have earned a sterling reputation in the industry for manufacturing and supplying Rexine Bellows. 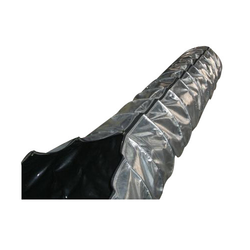 The offered bellows are extensively used in cement, paper, food processing and electrical industries for covering the parts of machines in order to protect them from wear & tear. These bellows are durable and meant to serve for a long period of time. 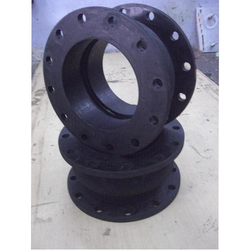 With the aid of sophisticated machinery and skilled professionals, we have been able offer supreme quality Rubber Bellow Joints to our valuable customers. Available with us at industry leading prices, these products are highly appreciated in the market for their sturdy construction and longer functional life. To ensure a defect free range, these joints undergo various quality assurance checks conducted by our team of quality controllers.